Leap out of the Ordinary and into the Extraordinary. SeaWorld is the world’s most premier marine-life park, located on 189 acres of beautiful Mission Bay in San Diego, CA and featuring unique event locations for groups of 25 to more than 10,000 guests. Let SeaWorld group events exceed your expectations with uncompromising quality and exceptional service. No matter what the occasion, we offer a SEA of possibilities! Dine with Shamu $4,000 (Food & Bev min. $5,000) - Relax alongside Shamu’s private pool and enjoy a delicious meal for up to 200 guests with the world’s most famous killer whale just inches away. Nautilus Pavilion - No fee but food & beverage minimum is $12,000 - Seats 650 indoors, 400 outdoors or accommodates a reception of 2,000 Attractions: Coco Loco Arcade $3,000. Food & Bev min: $5,000 $10 per person for each guest over 300 Journey to Atlantis $7,500. Food & Bev min: $5,000 $22 per person for each guest over 1,000. Shipwreck Rapids $7,500. Food & Bev min: $5,000 $22 per person for each guest over 1,000. Manta $10,000. Food & Bev min: $5,000 $24 per person for each guest over 1,000. Wild Arctic $7,500. Food & Bev min: $5,000 $22 per person for each guest over 1,000. Shamu Show OR Sea Lion & Otter Show: $10,000 $23 per person for each guest over 1,000. 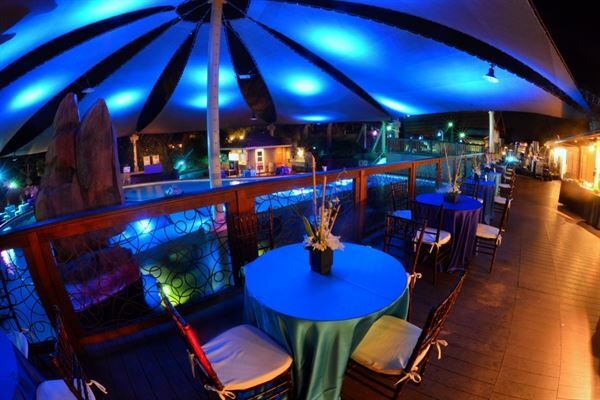 Multi-venue Events: Choose a combination of SeaWorld’s “best of” attractions. Food stations and bars may be arranged at multiple venues. Recommended for groups up to 3,500. Contact us for pricing. Full Park Buyout: After the gates close to the general public, you and your guests will have private use of the entire park, including dynamic shows, all major attractions and exhibits, as well as restaurants and gift shops. Recommended for groups over 3,000. Contact us for pricing. Guests can roll up their sleeves and pick up a vibrant sea star or spiky urchin during their reception at California Tide Pools. Then move into Aquaria World of Fishes for dinner – where they are surrounded by thousands of fish. At Dolphin Point guests have an opportunity to get a closer look at highly social bottlenose dolphins and otters at play. Manta® is an immersive mega attraction that takes you deep into the world of the rays. On Manta, you can soar, dive and twist like a ray on SeaWorld’s first multi-media double-launch coaster. Or surround yourself with gliding rays in a one-of-a-kind grotto where you can touch & feed these incredible animals. With state-of-the-art visuals inside and breathtaking views of Mission Bay from the patio, Mission Bay Theater is an excellent location for bayside receptions, presentations, product launches and awards ceremonies. Located adjacent to Mission Bay, the glass-enclosed Nautilus Pavilion provides a unique setting for your dining experience. Showcases a panoramic viewing of Shamu and companions as they swim, play and socialize. The immersive and interactive attraction features a 300,000 gallon aquarium with nearly 60 sea turtles and thousands of tropical fish. At Wild Arctic board a simulated helicopter for a motion-based “flight” over the Antarctic. Guests will then disembark and find themselves at a realistic center for polar exploration where they can view polar bears, beluga whales, walruses and harbor seals. Café 64 offers an open, comfortable atmosphere for guests to relax and enjoy mouth-watering hors d’oeuvres and/or dinner.